This trail is 9 miles from Ohio Street, south of Montgomery, northwest to Bliss Woods on Bliss Road, north of Sugar Grove. The Fox River is crossed on a covered bridge and includes two abandoned railroad right-of-ways. Beginning at Business Rt. 30 near Montgomery Road, the trail stretches west, a distance of approximately 11.2 miles to Waubonsee Community College. 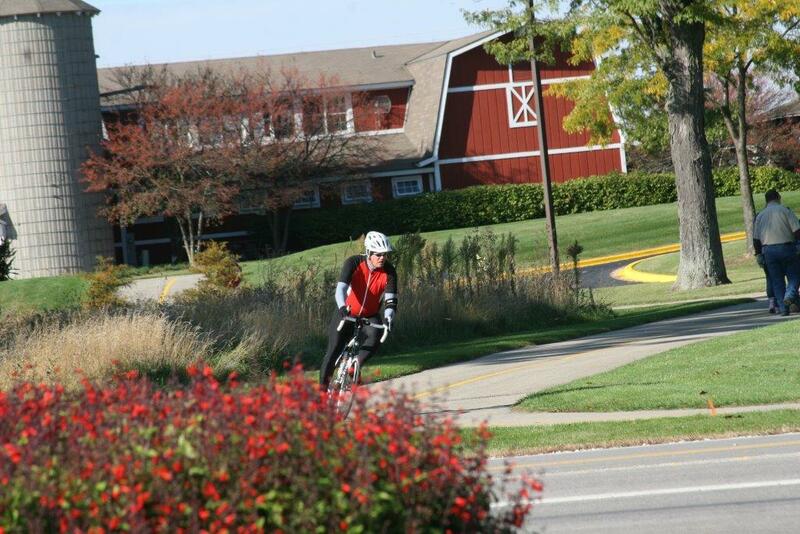 Constructed by the Fox Valley Park District and the Kane County Forest Preserve District. The Virgil L. Gilman Trail crosses Waubonsee Creek. Beyond the creek are wetlands, filled with small birds and waterfowl. Ducks, heron and shore birds visit the marsh on their migratory flights. Redwing Blackbirds, the Downy Woodpecker, Cardinals, Bluejays can be seen along the path, as well as wildflowers and small patches of native prairie. Cottonwoods, White Poplars, Sycamores, White and Black Oak add to the sights to be seen. A truss bridge connects the two shores of the Fox River.